We all know that a huge part of reading success in the primary grades depends on the sight word strength of the reader. We all have students that need help with sight words. I know I have plenty of those students. 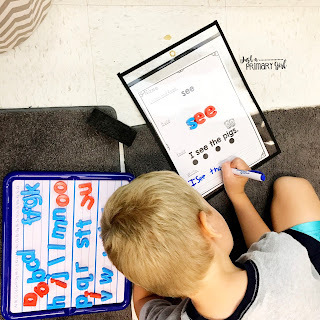 I also have plenty of students that I can just send them off with sight word building activities and they can do them, but are they really LEARNING the sight words? I have students that can find the beginning sounds and grab each cute pictured card I have and write it down on the correct line. They are good direction followers. This doesn't mean that they are learning what the sight word IS. The students in my classroom need someone to TELL them what those words are. While I am in guided reading groups, I can't mill around the room to ensure they know that the words are. This then makes the work I am asking them to do meaningless, no matter how cute it is. I struggled with my son learning his sight words, even with his teacher mama helping him. I wanted to reach my students that need this help. I wanted my visual, auditory and kinesthetic learners to benefit from the same activity! I THINK I have finally come up with one that will WORK. I have been practicing it with my students in my classroom, but also with my own special needs 6 year old kindergarten child. Enter - Sight Word Stations! 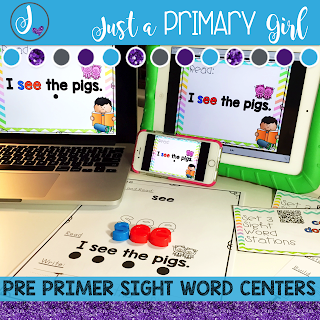 These sight word stations are starting off with the pre-primer word list. I wanted my students not only to see what I wanted them to do, but also HEAR it. I wanted my students to use magnetic letters! I want them to build the words. I want them to write the words. I also wanted to make sure that I didn't need to use technology. It never seems to work when you need it to. I created these sight word station movies. Each movie is about 3 minutes long. I put 4 videos together in a set to allow for it to run anywhere from 11-15 minutes. This is perfect for a guided reading station. In fact, some students may be able to go to another station after they complete the sight word station. These videos have me teaching your child. It is my voice, with an interactive sight word lesson. It is very repetitive, so even your kindergarten students can complete it. I know not everyone has magnetic letters, so I created a sheet where students cut out the letters that they need in order to complete the activity. 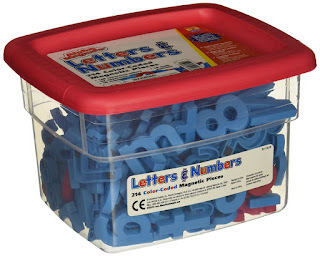 There is also a full size sheet that students can use magnetic letters. They fit perfectly with the letters that you can find here. This is the smaller sheet that students are able to follow along with. You can use these with your computer. Students can also work alone on an activity. This is perfect for students that are on RTI or that you meet with frequently, but it is not their turn. It helps to reinforce what you are already teaching. Students are excited because it is paced for them! There are clear directions! I cheer them on, and share words of encouragement. As students are writing, I offer sentence structure reminders for capitals, punctuation and spacing! I love that my friends are manipulating the letters. I have them mix them up and spell the words three times before we move on. You can also use these with QR codes. Students can scan them on an iphone, ipod or ipad. You can send the sheets and qr codes home for additional practice at home. Easy peasy! It is like you are there with them! As students are reading, there are tracking dots so that they are getting that much needed one to one correspondence practice! Sets 2 and 3 will be here very shortly! So there you have it! Sight word stations that WORK. I am going to be giving away a set for you and a friend. Like the post and leave a comment. I will pick a winner tomorrow at 8pm est. Since I do sell via affiliate links on my blog & accept advertisement money for sponsored posts, I have to have fine print. Please note upfront, all opinions are my own and I would never recommend something that I wouldn’t use in my classroom! This policy is valid from 01 July 2016.This is my personal blog, written and edited by me. My goal is to share my experiences, resources, stories, tips, and thoughts as I look for ways to teach my students.This blog accepts forms of cash advertising, sponsorship, paid insertions or other forms of compensation. 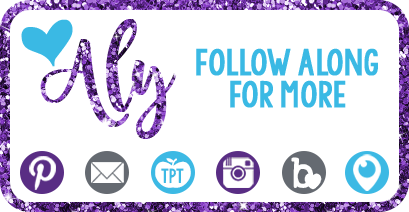 For questions about this blog, please contact Aly at Justaprimarygirl@yahoo.com. The compensation received will never influence the content, topics or posts made in this blog. All advertising is in the form of advertisements generated by a third party ad network. Those advertisements will be identified as paid advertisements.The owner(s) of this blog is compensated to provide opinion on products, services, websites and various other topics. Even though the owner(s) of this blog receives compensation for our posts or advertisements, we always give our honest opinions, findings, beliefs, or experiences on those topics or products. The views and opinions expressed on this blog are purely the bloggers’ own. Any product claim, statistic, quote or other representation about a product or service should be verified with the manufacturer, provider or party in question.This blog does not contain any content which might present a conflict of interest.Just a Primary Girl is a participant in the Amazon Services LLC Associates Program, an affiliate advertising program designed to provide a means for sites to earn advertising fees by advertising and linking to Amazon.com.